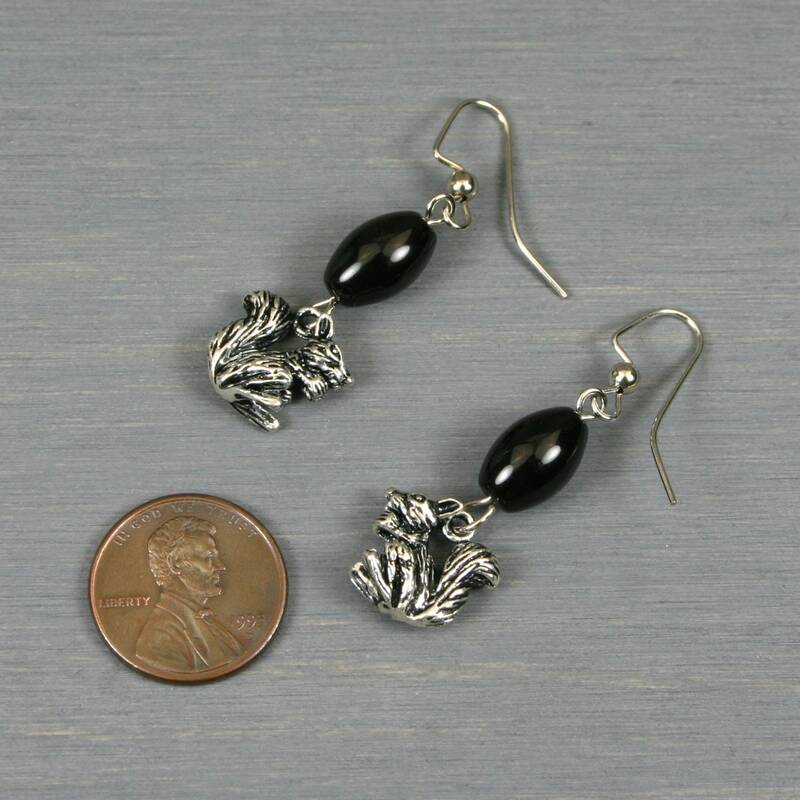 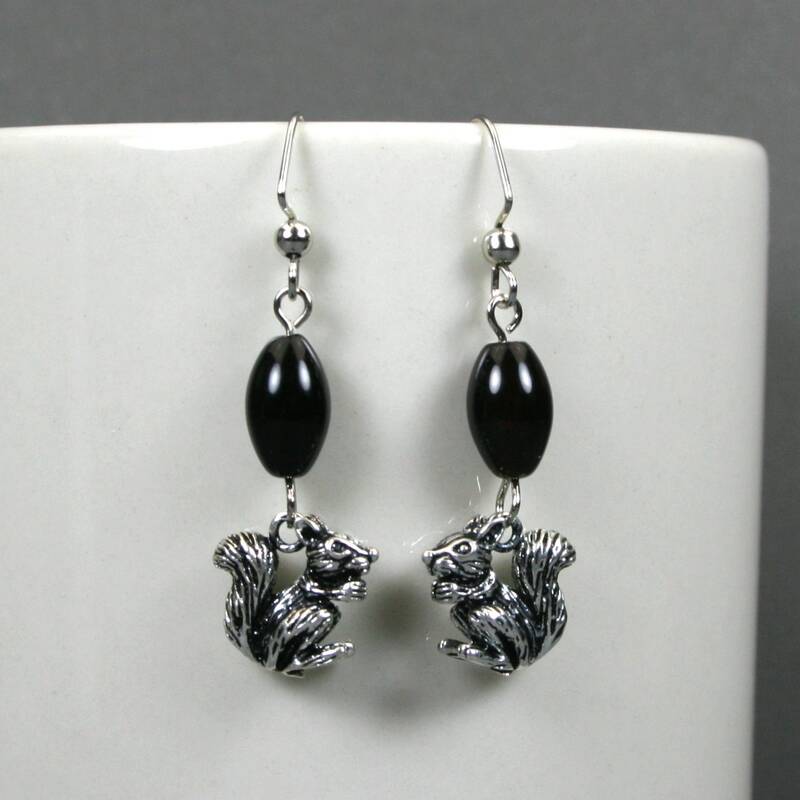 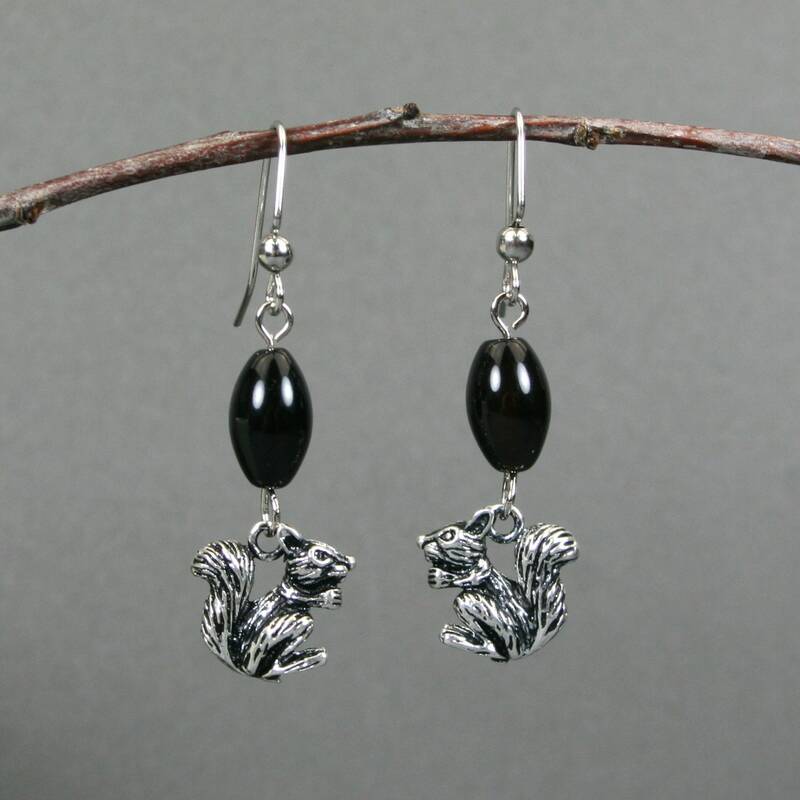 Each earring is made from a nickel free antiqued silver two-sided squirrel charm hanging beneath an oval black onyx bead (12x7 mm) . 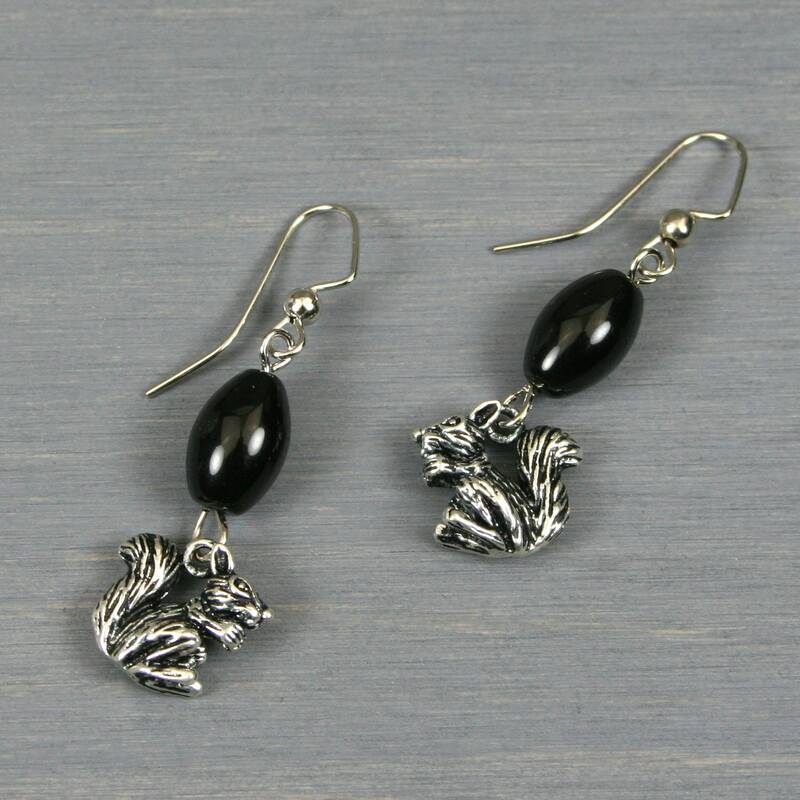 These dangle beneath a silver plated ear wire. 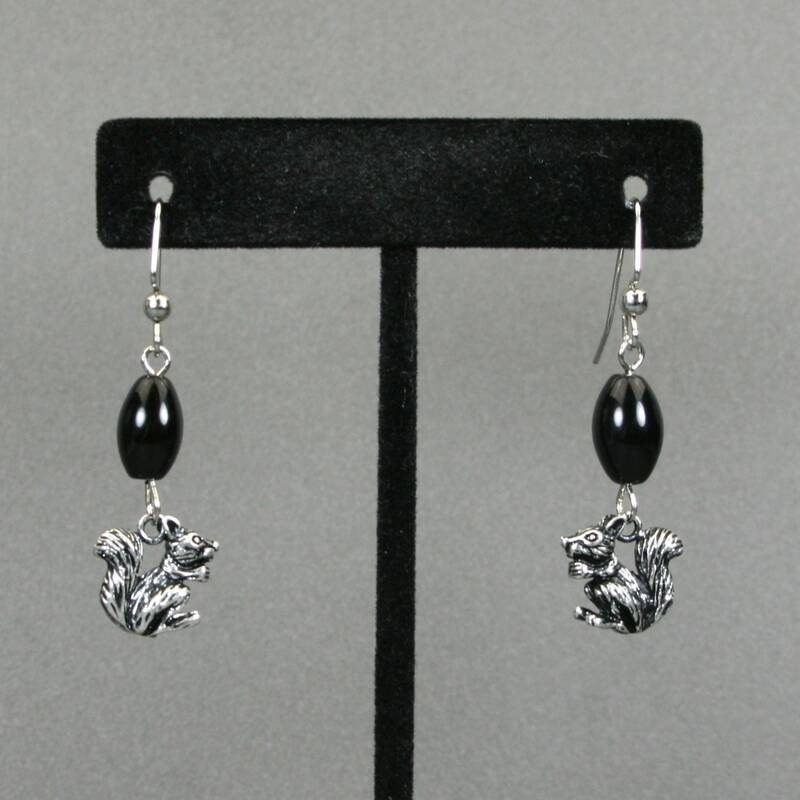 The bottom of the earrings dangle about 46 mm from the top of the ear wire.